State Museum-preserve "Peterhof" is a former summer residence of Russian Tsars, on which territory wonderful park with the unique fountain system and outstanding palaces are located. 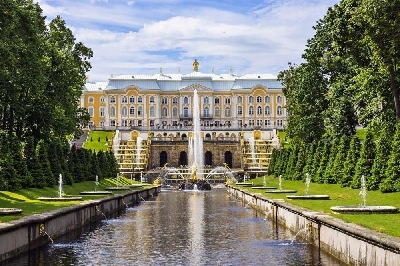 The State Peterhof Museum complex is extremely popular among tourists of Saint-Petersburg. Visit to Peterhof with its wonderful parks and museums is almost in all routes, offered to foreign tourists. Unique fountain system, Lower and Upper Parks with beautiful landscapes, amazing Grand Palace, pavilions, different museums – all this is worth to be seen. 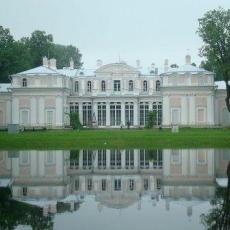 The summer residence of Russian emperors became very popular as “the capital of fountains”. 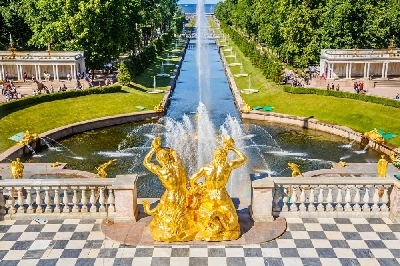 The fountain system of Peterhof is a unique one. In Peterhof pumps were never used, however the idea of supplement of water from the Gulf of Finland with the help of pumps existed. The nature itself gave the decision. Numerous springs of Ropsha Hills were able to provide the fountains with water, thanks to the fact that the territory goes down to the Gulf of Finland. 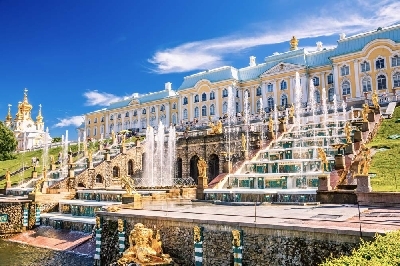 Peter the Great chose this spot for the construction of Peterhof: the landscape of the territory allowed to create a self-flowing water supply system of fountains, which could gush out for all day. 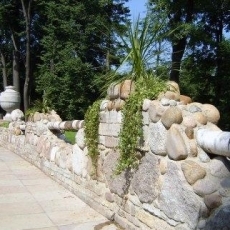 Found by Peter I principals of water supply function up to the present time, evidencing of the talent of the founder of Peterhof. Pilot fountain setting in operation was held on 8 July 1721. The solemn opening of Peterhof took place on 15 August 1723. 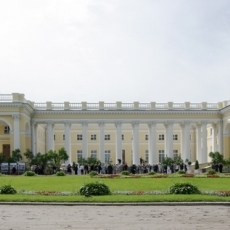 Peter the Great showed all sights of the new summer residence to foreign ambassadors and other guests by himself. Undoubtedly the famous fountains provide the park with big popularity. The Grand Cascade and fountain "Samson" are the main figures of the entire Peterhof fountain system, amazing in its grandeur, beauty and decoration. 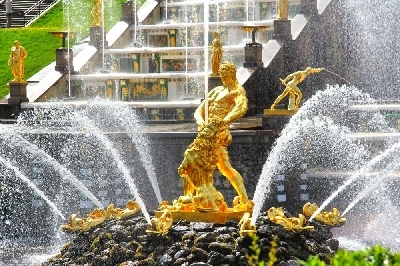 Fountain "Samson" became a symbol of Peterhof a long time ago. 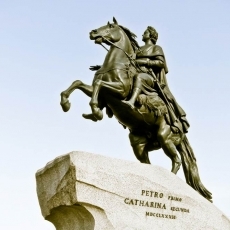 The fountain was built in honor to the 25th anniversary of the victory over the Swedes at Poltava. During The Second World War the statue of Samson was stolen by the Nazis. Sculptor V. Simonov restored the figure by remained photos, and in 1947 Samson took his powerful place in the heart of the Lower Park. Many other fountains of the Lower Park deserve the same attention, they create wonderful appearance of the palace and park: Fountains "Chalice", "Marble benches", "Sun", "Roman", "Adam and Eve", "Greenhouse", "Pyramid", "Whale", "Favorite", "Sheaf", "The Bells", "Menazhernye", "Kloshi", cascades "Chess Mountain", "The Lion" and "Gold Mountain", “Alley of fountains”. Each of them has its own history and unique image. Grand Palace is a real masterpiece of the "Peterhof" ensemble. 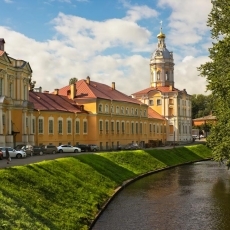 That, stunning by its beauty, three-storey building with shining domes of the Church and bulk above the emblem, was the main country residence of Russian emperors. The palace, facing the gulf, overstretches along the terrace almost three hundred meters. The initial idea of the location and appearance of the palace belonged to Peter I. The world famous Russian and European architects such as I.-F. Braunstein, J. Leblond, N. Michetti, M. Zemtsov, F.-B. Rastrelli, A. Shtakenshneider worked at erection of the Imperial Apartments. During its long history the palace was reconstructed several times by different architects to correspond with the tastes and preferences of the members of the Royal Family. Thereby, there was a great combination of the apartments of Peter’s epoch and baroque halls of the middle of the XVIII century together with the solemn and austere rooms of classicism and Rococo style chambers of the middle of the XIX century. 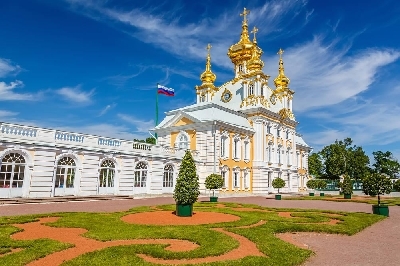 Grand Peterhof Palace was the summer center of the high life of the Russian Empire: many important events for the country took place here as well as the celebrations, receptions, balls and masquerades. 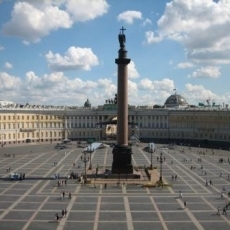 Today, the Grand Palace is one of the richest historical and art museums of Russia. Its collection includes about three and a half thousand exhibits: furniture, paintings, textiles, lighting, porcelain, describing tastes and preferences of the former palace’ owners. Also Marly Palace is worth a notice. Today the exposition of Peter I personal things is represented here: woolen cloak-epanche, colored glass damasks with stamps "Danzig" and "London", two flagons of brown glass, which were brought by Peter I from Spa town according to legend, a table with inset from "slate" stone, made by his hands. Almost half of the paintings in the palace come from the original collection of Peter I. Monplaisir Palace, which also located on the territory of Peterhof ensemble, Monplaisir takes a specific place in Russian culture. 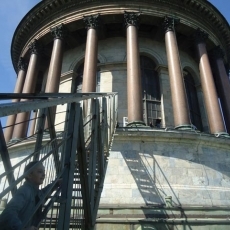 It holds the first Russian collection of paintings by European artists of the XVII-XVIII centuries, as well as the collection of Chinese ware, Dutch ware, Russian glass and a kitchen utensils of Peter's epoch. The palace is also the architectural monument, because painting works in the palace were carried out by the famous French artist F. Pilmanom, and interiors are shaped with the Dutch tiles, "Chinese" lacquered panels, fabrics, carved oak panels, parquet and marble. Ornamental and sculptural decoration of the interiors is a masterpiece of decorative moulding of XVIII century. 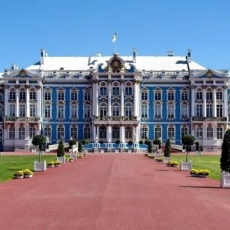 On the territory of Peterhof ensemble there are a lot of museum, among which the Imperial Yachts Museum, the Hermitage, the Bath Block, the Benois Family Museum, Museum of Collections, Museum of Playing cards and others. Lower Park of "Peterhof" Ensemble is a famous park, which provided the whole ensemble with the worldwide fame. 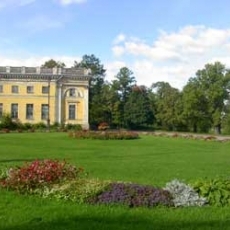 The park was laid out by the project of Peter I. He defined the concept of the park, which was based on the example of the country residence of King Louis XIV at Versailles. It was laid out in the style of the regular park, with strictly geometric layout of alleys, the topiary art, delicacy of large flower beds design, the wealth of sculptural ornamentation and elegant pavilions. Peter the Great imagined his park exactly like that. His sketches were the basis of the architect I. F. Braunstein project. In the Lower Park there are several architectural art ensembles, each of them includes a palace, parterres, fountains and service zones. The central ensemble consists of Grand Palace with a cascade, canals and flower beds, "Big Greenhouse" with fruit garden and hothouses, Monplaisir Palace with garden and conservatory with herbs and Marly Palace with gardens, orchards and fish ponds. Variety of trees, flowers and shrubs, planted in the park, amaze by their sizes: here you can find linden, oak, maple, ash, birch, alder, spruce, as well as individual exemplars of chestnut, fir and larch trees. Oniony aromatic medicinal herbs and roses predominate among the flowers. 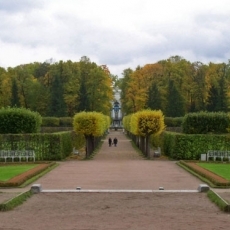 The Lower and Upper parks of Peterhof are the perfect places for walks and relax. Abundance of greenery, fresh air, wonderful landscapes, architectural ensembles dispose the best for the unity with nature. Horse riding in park is one of the favorite entertainments for tourists. Palace and park ensemble “Peterhof” is one of the most popular places for the lovers of romantic walks, and especially for newlyweds, who come to the park for wedding photo sessions. Palace and park ensemble “Peterhof” also will be interesting for kids, because there are a lot of fun fountains, which delight children. They can run all day through the park in search of amusements. Also here you will find special educational programs, themed excursions, museum lessons for kids. The ride on excursion train will be interesting as well.